Major League Baseball is a founding member of TEAM Coalition. 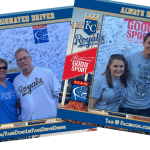 Since 2001, the two organizations have worked together to train tens of thousands of ballpark employees in alcohol management and to encourage more fans to pledge to be designated drivers than any other sports league. Every ballpark offers fans a responsible fan program. Fans who register to be responsible fans pledge to drink alcohol responsibly, find a safe ride home and always buckle up. 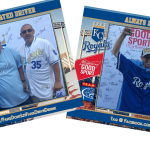 In return for their pledge, these fans are entered to win the MLB Responsibility Has Its Rewards (RHIR) sweepstakes. 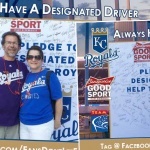 Track league-wide responsible fan pledges on the MLB Fans Don’t Let Fans Drive Drunk page. The Championship Performance category is defined by training 1,000 employees as the primary concessionaire or 500 employees as a premium concessionaire at an MLB ballpark. The Excellent Performer category is defined by training 500 employees as the primary concessionaire or 250 employees as a premium concessionaire at an MLB ballpark. Two categories of awards were given this year. 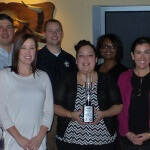 The Prestigious Achievement award recognizes those organizations in which at least 90% of TOTAL STAFF is TEAM certified. The Championship Performance category recognizes those organizations which, in 2011 alone, certified 100% of the operations staff necessary to operate the building for an average event. Two categories of awards were given this year. The Prestigious Achievement award recognizes those organizations in which at least 90% of TOTAL STAFF is TEAM certified. The Excellent Performer category recognizes those organizations which, in 2010, certified more than 50% of the operations staff necessary to operate the building for an average event. Two categories of awards were given this year. The Prestigious Achievement award recognizes those organizations in which at least 90% of TOTAL STAFF is TEAM certified. The Excellent Performer category recognizes those organizations which, in 2009, certified more than 50% of the operations staff necessary to operate the building for an average event. Three categories of awards were given this year. The Prestigious Achievement award recognizes those organizations in which at least 90% of TOTAL STAFF is TEAM certified. The Championship Performance category recognizes those organizations which, in 2008 alone, certified 100% of the operations staff necessary to operate the building for an average event. The Excellent Performer category recognizes those organizations which, in 2008, certified more than 50% of the operations staff necessary to operate the building for an average event. Three categories of awards were given this year. The Prestigious Achievement award recognizes those organizations in which at least 90% of TOTAL STAFF is TEAM certified. The Championship Performance category recognizes those organizations which, in 2007 alone, certified 100% of the operations staff necessary to operate the building for an average event. The Excellent Performer category recognizes those organizations which, in 2007, certified more than 50% of the operations staff necessary to operate the building for an average event. Two categories of awards were given this year. The Championship Performance category recognizes those organizations which, in 2005 alone, certified 100% of the operations staff necessary to operate the building for an average event. The Excellent Performer category recognizes those organizations which, in 2005, certified more than 50% of the operations staff necessary to operate the building for an average event. Two categories of awards were given this year. The Championship Performance category recognizes those organizations which, in 2004 alone, certified 100% of the operations staff necessary to operate the building for an average event. The Excellent Performer category recognizes those organizations which, in 2004, certified more than 50% of the operations staff necessary to operate the building for an average event. Two categories of awards were given this year. The Championship Performance category recognizes those organizations which, in 2003 alone, certified 100% of the operations staff necessary to operate the building for an average event. The Excellent Performer category recognizes those organizations which, in 2003, certified more than 50% of the operations staff necessary to operate the building for an average event. During the 2003 fiscal year, concessionaire companies continued to post strong numbers of TEAM-certified employees. TEAM awards include two categories.